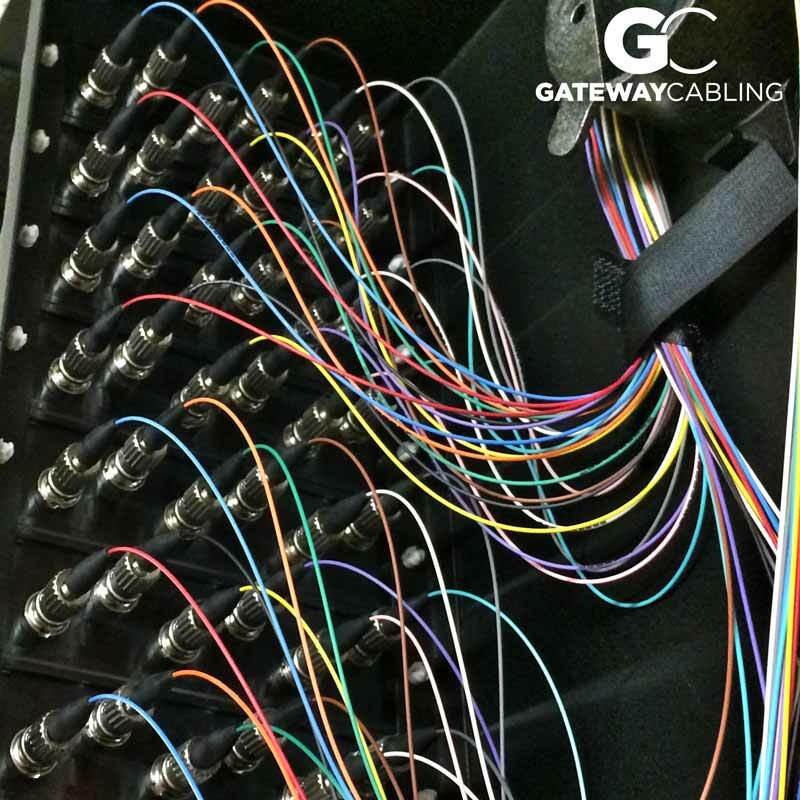 Gateway Cabling, LLC has offices in Abilene, Texas and Dallas/Ft. Worth. We can run and test all types of indoor or outdoor network, phone, video surveillance system, or audio/video cable including Cat5E, Cat6, Fiber Optic, and all other low voltage cables. If you have questions or would like a price estimate, please feel free to use our contact page. We’d love to help you get connected. Our structured cabling solutions include network design, installation, testing and troubleshooting of voice and data systems of any size that utilize Cat5E, Cat6 or fiber optic cables. We provide installation, termination and testing of inside plant multimode and single mode fiber optic cables. Termination methods include anaerobic, unicam and fusion splice. We provide audio/video cabling for installations ranging from small office conference room systems to full scale theatre or stadium sound and video. We install cabling and equipment for large and small office surveillance systems. We can install DVR systems and IP cameras.